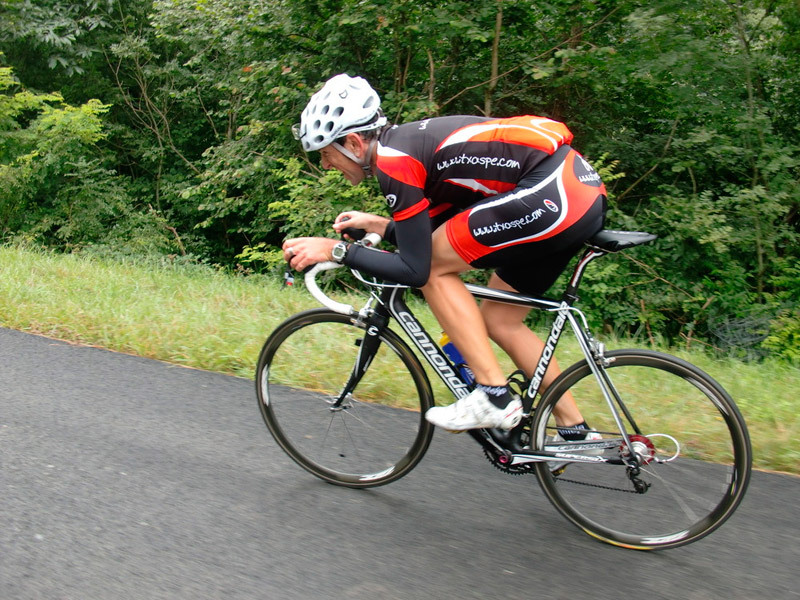 Having a good physical condition is very important for any sport, especially bicycle, one of the most demanding there. In this case, besides fitness need a lot of strength to support increasingly longer runs and not just be in plain. You can only be achieved with hard physical training background and continuous, something quite difficult at the beginning, but when the body gets used, we will see how performance increases. A good alternative to gaining background is practicing on a stationary bike and it can do spinning, which will help us acquire explosive force. On the other hand we can also apply more resistance to the wheel so that costs us more work pedaling, but we must do so gradually, for the body, and especially our legs, they get used. It's something we do once a week first, then go finish adding two days and three days, but without forcing the body, just so that we gain physical endurance, which it is what we have proposed. When we come to the two resistance training routines a week we can combine a day with the exercise bike and other outputs to the road. To do this we have to choose a route that is slightly demanding and then go playing with more advanced levels. To end, If you want to increase the performance even more, instead of making an exit with a road bike, it can make the break with a mountain bike. It is recommended to make a path through field, which will force us to make an extra effort and allow us begin to acquire the state we seek for our performance on the bike.